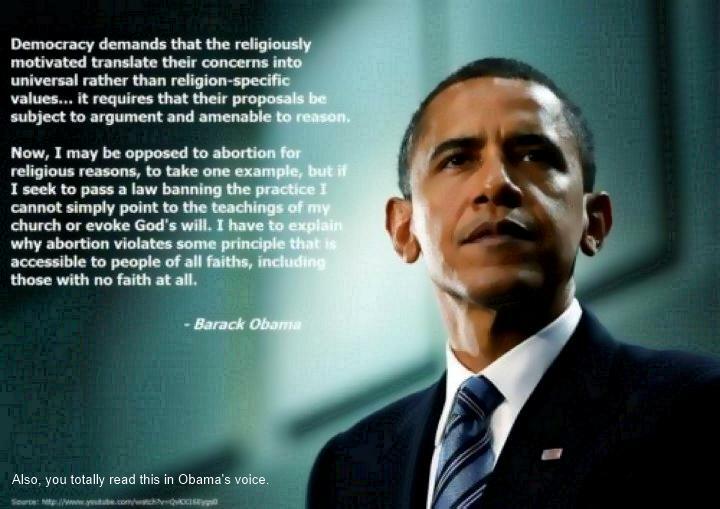 This is a superb quote from President Barack Obama. As a former Catholic, this speaks to how I feel religious values should inform the laws and government policy of our democracy. It seems the only way if we hope to stay a true melting pot of cultures. “Democracy demands that the religiously motivated translate their concerns in to universal, rather than religion-specific, values… it requires that their proposals be subject to argument and amenable to reason.